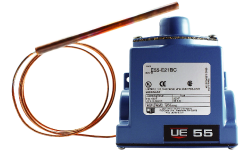 United Electric Controls manufacturers cost-effective pressure and temperature switches, pressure transmitters and temperature sensors for challenging OEM applications. 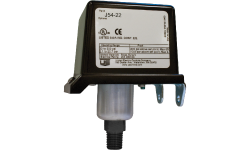 Whether the need is for a switch or sensor, our application engineers work with OEM customers to assure reliable and cost-effective solutions. We offer the industry’s broadest selection of standard products and we’ll work to develop customized models that precisely match your requirements. Read more about our solutions to your application challenges. Match precise operating specifications while eliminating unnecessary features. A variety of enclosure options are available, along with the ability to customize, to meet your requirements. We offer a variety of compact models for wherever space is restricted. Whether you need open frame or enclosed models or the ability to customize, UE can provide the solution for your challenging applications. Our lean manufacturing processes assure that we deliver the right quantity when you need it, reducing your inventory and total cost. Reducing time-to-market for new products is critical to ROI. Contact our experienced Application Support Group at 617-923-6977 or email techsales@ueonline.com.